Guests are invited on a culinary journey of Australian flavours and techniques, respecting the traditions Dan learnt while perfecting his craft in France. Dishes are prepared from an open kitchen, creating a connection between chef and diner. Here, dishes are often created in the moment and the menu is ever changing. Influences range from the terroir, to the current season, with the ingredient dictating the technique to be used to prepare it. After spending 7 years in France, Dan Arnold, who was born in Brisbane, has returned home to open his first restaurant. Dan arrived in France in 2010, worked at 3 Michelin star restaurant l'Espérance for a year, and for six years was sous-chef of Serge Vieira, Bocuse d'Or 2005 and two Michelin star. Dan is Bocuse de Bronze Asia-Pacific 2016, and finished 8th in the Bocuse d'Or World final in 2017, best ever result for Australia. If you want to learn more about the competition Bocuse d'Or, click here. 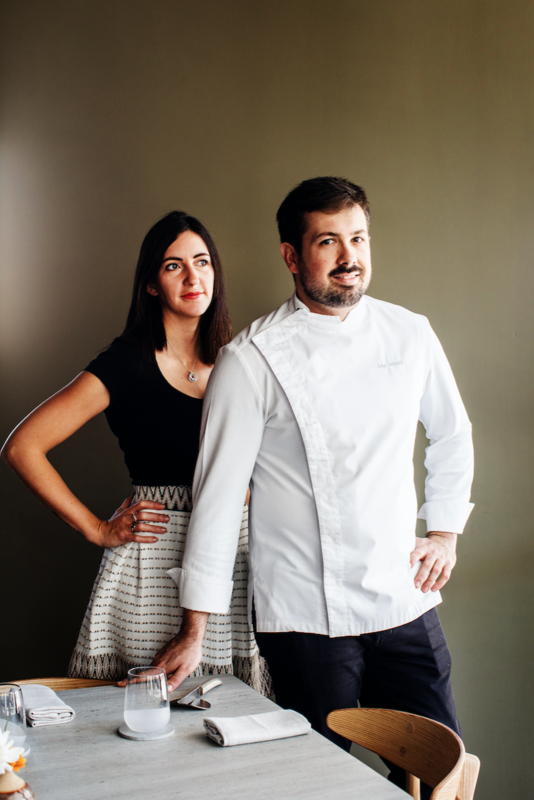 They met in Paris eight years ago, and left the capital together to work in a small country town: Chaudes-Aigues in France, where the 2 Michelin star Restaurant Serge Vieira is situated. 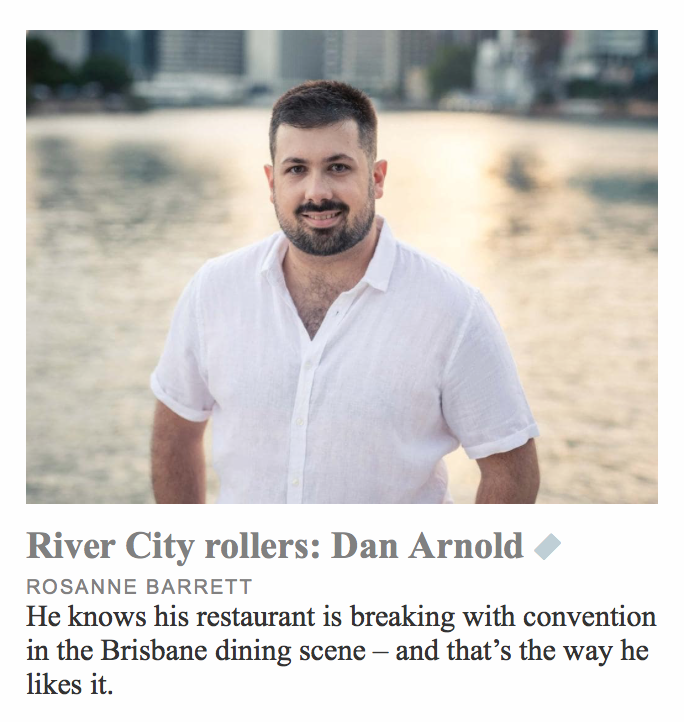 Since, Amelie and Dan went on holiday to Brisbane every year and finally decided in 2018 to open their first restaurant in Dan’s hometown. For reservations, please use the booking form. If your preferred time or date is not available, please call us at 07 3189 2735. Dietary requirements, allergies and dislikes can be catered for but notice in advance (at least 24 hours) is required to ensure the best possible dining experience. For reservation of 12 people or more, please contact us directly at contact@restaurantdanarnold.com or call 07 3189 2735. Matched wine option is available or you can choose from our French and Australian wine list. only available at the bar and on a first-come, first-serve basis. Lovers of good food, we give you the opportunity to live an unforgettable experience by participating in a gourmet cooking class with a Michelin Star trained chef in France! Guided by the Chef, you'll learn the techniques and secrets of gastronomy before enjoying the lunch you assisted in preparing. * Possibility to have a guest that will join you to enjoy together the prepared dishes for $72. Take over the entire venue! Celebrate your next occasion with a contemporary European inspired menu, French and Australian wine list and personalised service. We provide a secure wifi connection, the music of your choice, and can adapt our offer to your specific requests. We can cater all types of events and help you create a memorable event! Whether it’s an intimate family dinner, a boardroom lunch, a wedding or a cocktail party. To give you an idea, you can download a sample of what we can offer for a stand up cocktail here. His eponymous eatery in bustling Fortitude Valley opened to rave reviews in the middle of last year and continues to build a dedicated following for its set-menu dining. With eight years’ experience working at the Michelin Guide three-star restaurant Marc Meneau L’Esperance in Burgundy and as sous-chef at two-star Serge Vieira within a medieval castle in central France, Arnold is creating a fresh dining experience in the Queensland capital. Chef-owner Dan Arnold's first restaurant is a family affair, with his French-born wife, Amelie Arnold, managing the floor. It's the owner-operator couple's bid to share all they've learned during 15 years in hospitality. Both Arnolds worked at two-starred French restaurant Serge Vieira and while this background informs the kitchen's ambition, no one takes themselves too seriously here. With years of Michelin-star restaurant experience under his belt, Brisbane-born chef Dan Arnold has left France and brought his culinary skills and sharp eye back to his hometown, offering fine dining in the heart of Fortitude Valley. Chef Dan Arnold spent seven years in France working in Michelin star restaurants before deciding to return home to open his own restaurant in Fortitude Valley. Arnold aims to ‘challenge and enrich guest’s senses’ and offers either a three or five-course menu for lunch and dinner. 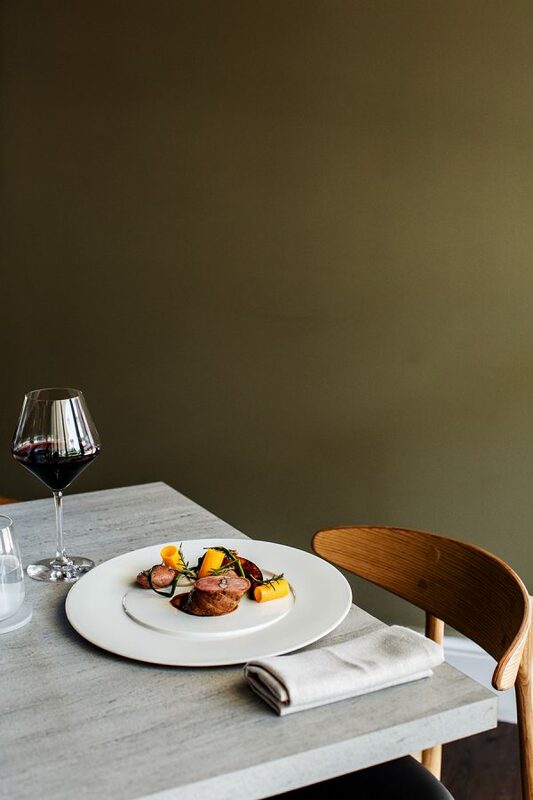 The restaurant serves dishes like amuse-bouches, Shark Bay scampi and charcoal duck breast, so if you consider yourself a foodie you’ll want to head to Restaurant Dan Arnold ASAP. 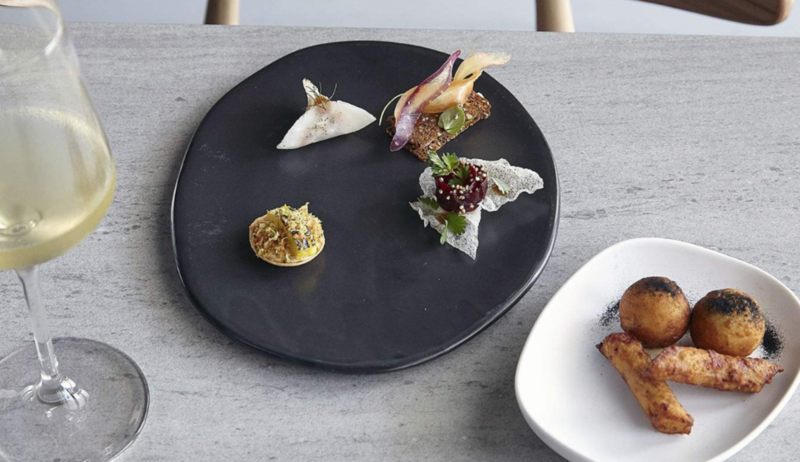 Just when you think the fine-dining corpse has twitched for the last time, up pops Restaurant Dan Arnold with its degustation menus, David Ponson cutlery and detailed plates of food. Who is Dan Arnold and why has he opened a restaurant bearing his name in inner-Brisbane’s Fortitude Valley? We venture forth to the wooden-floored minimalist newcomer overlooking busy Ann St to find out. Local lad returns from abroad with a French wife and seven years of Michelin-esque experience cooking in France, finishing up sous chef at Restaurant Serge Vieira in the Auvergne-Rhone-Alps. From the highlights of France comes Bocuse D’Or awarded Chef Dan Arnold, returning home to Brisbane to open his namesake ambition, Restaurant Dan Arnold. Restaurant Dan Arnold Opens in Fortitude Valley. A star chef returns from France. Dan Arnold’s credentials are intimidating. During an extended stint in France the Brisbane native spent a year under renowned chef Marc Meneau at L’Espérance – a three-Michelin-star restaurant at the time – followed by six at two-Michelin-starred Serge Vieira. Arnold also won bronze at the 2016 Bocuse d’Or Asia-Pacific competition and came eighth at the Bocuse d’Or World Final in 2017. 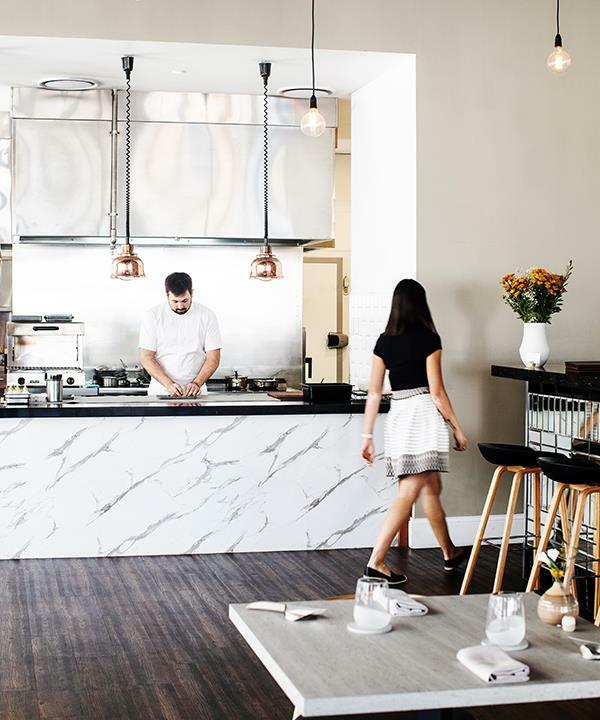 Hidden inside the Alex Perry Hotel and Apartments on Ann Street in Fortitude Valley is Dan Arnold Restaurant, a luxurious establishment with an open kitchen where nature meets creativity. Dan Arnold and his wonderful team have opened a restaurant in the Newstead end of Fortitude Valley that takes everything that they love about fine dining, that is, the fresh seasonal ingredients, creative flavours and quality food, and rejects all the emotionless stiff attitudes, ego and negativity of the kitchen culture. The result is a welcoming dining experience that wants you to feel like house guest, not a customer. There are few Brisbane chefs who can claim to have worked at a Michelin-star restaurant, let alone two of them. Brisbane native Dan Arnold is one such chef, having worked under Marc Meneau for a year at the three-Michelin-star L’Espérance before moving on to a second-ranked venue, the two-Michelin-star Serge Vieira for the next six years.